Learn to Row will be on June 1 this year, a free program for (you guessed it) learning to row. The means for registration is forthcoming. Meanwhile, here’s a little more information. Every year we join in on US Rowing’s annual Learn to Row Day, usually the first Saturday in June, when clubs all over the continent open up to all comers. Though we don’t always do it on the official LTR day (as we’re often away at a regatta with our juniors), we’re always excited to have a crowd down at the lake to take part. 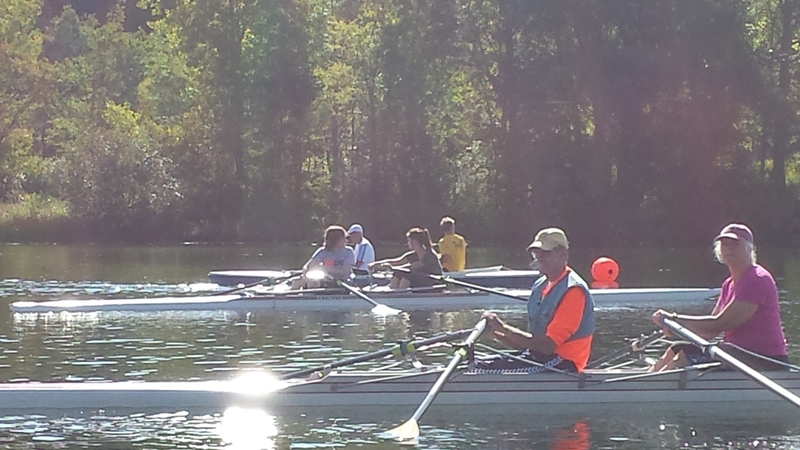 Participants will be introduced to sculling on shore and then they try it out in a recreational shell. This event is free and open to the public. We welcome everybody: children and adults, experienced and brand new. We hope that everybody gets the opportunity to try this fun and challenging sport. Participants will meet just north of Onota Lake’s public beach in Burbank Park. Rain or shine.